Combine dry lentils and spices in a mason jar - these make great gifts for holidays or party hosts! Combine lentils with spices and water. 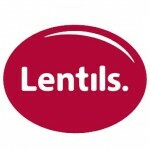 Be sure to use a large enough saucepan as the lentils will double or triple in size. Bring to a boil, cover tightly, reduce heat and simmer for 15-20 minutes or until lentils are tender. Stir occasionally.